Motorola Solutions (NYSE: MSI) announced that it has entered into a definitive agreement to acquire Avigilon (TSX: AVO) in an all-cash transaction that will enhance Motorola Solutions' portfolio of mission-critical communications technologies. Under the terms of the agreement, Motorola Solutions will acquire all of Avigilon's outstanding shares for CAD$27.00per share. The enterprise value of the transaction is approximately US$1.0 billion including Avigilon's net debt. "This acquisition will bring Avigilon's advanced video surveillance and analytics platform into public safety, while expanding our portfolio with new products and technologies for commercial customers," said Greg Brown, chairman and CEO, Motorola Solutions. "Video can play a powerful role in creating safer cities and thriving businesses. It can serve as highly efficient 'eyes and ears' for monitoring a given location, and advanced video analytics can proactively alert officials to a perimeter breach or quickly find a person who left behind an object of interest." As more cameras feed into public safety workflows, video surveillance and analytics will enable more public-private partnerships between local communities and law enforcement. The acquisition will also enable Motorola Solutions to extend into new segments of its commercial markets business, which provides secure, reliable communications technology to industries such as oil and gas, transportation, utilities, manufacturing and higher education. 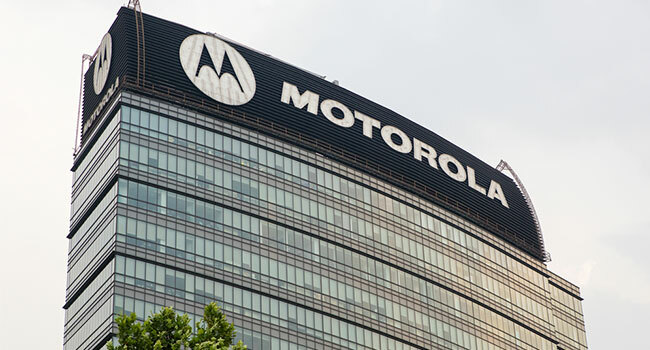 Customers will now be able to purchase advanced security and surveillance solutions as part of Motorola Solutions' portfolio of critical communications technology for commercial markets. Avigilon's video surveillance platform helps transform video from reactive – looking back at what has taken place – to proactive, issuing alerts in real time when a person, object or vehicle of interest is detected. This critical intelligence enables users to take the right action more quickly. "We're very pleased to be joining Motorola Solutions, as their vision and strategy aligns fully with our own," said Alexander Fernandes, Avigilon's founder, chief executive officer and chairman of the board. "This combination will bring new opportunities to Avigilon, allowing us to accelerate our innovation and provide even more value to our customers."